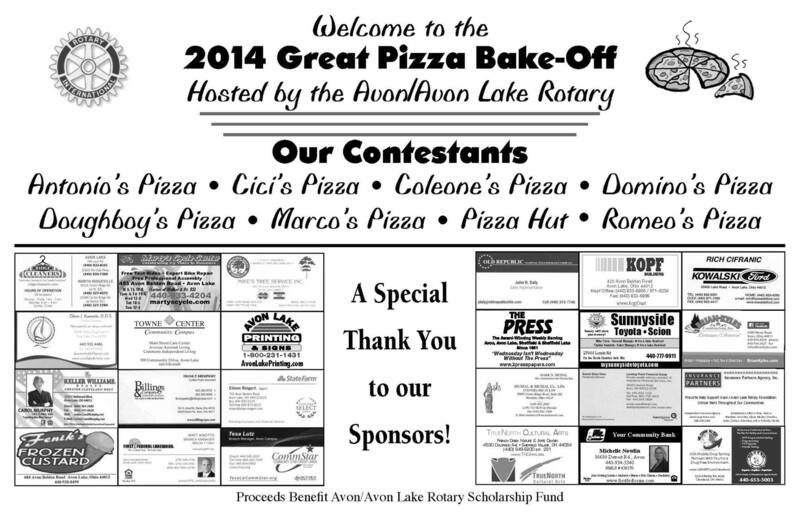 October 1st – The Avon Lake Great Pizza Bake-Off!! 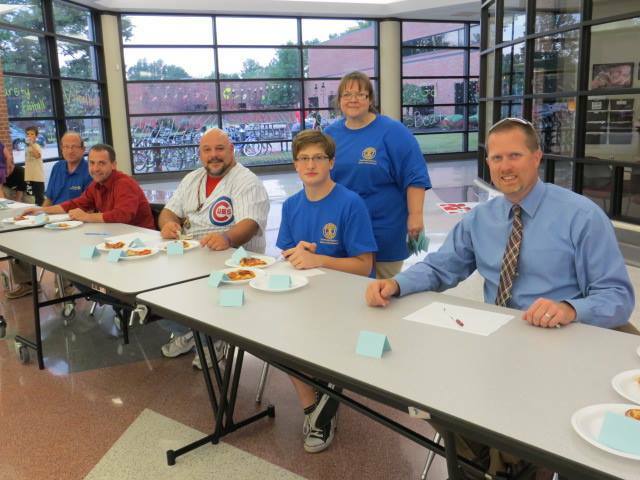 Preparations for this well-attended event are underway, as Rotarians Doug Maurer and Rebecca Russell are enlisting pizza merchants to join in this friendly competition. Culinary students from the Lorain County Joint Vocational School will once again be preparing their specialty desserts! Tickets for the all-you-can-eat event will remain at $10 per adult and $5 per child and will be available for pre-sale next week. Pictures below are from last year’s event. 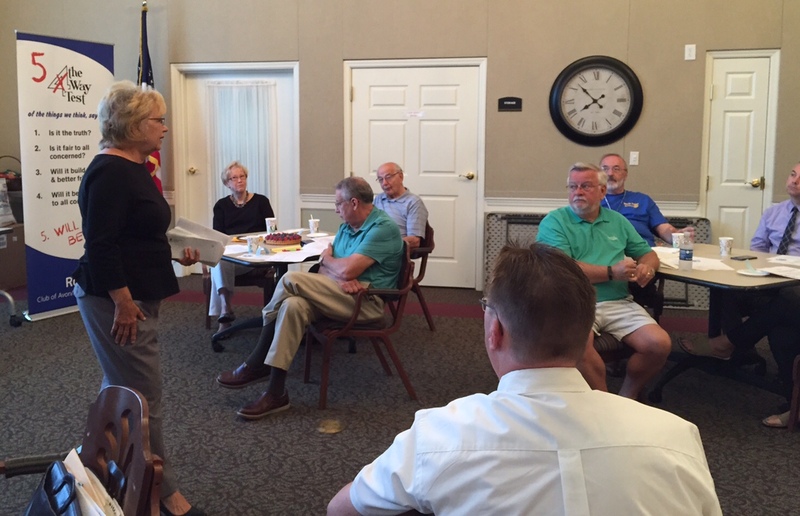 The following club members were elected to serve on the North Coast Rotary Club Executive Board: J ohn Crooks, Vice President; Matt Knotts, Deputy Treasurer; and John Daly and Allen Porter as Member Delegates. Clare Cyan Young, Director of Community Outreach and LLCIP Internship Coordinator, explains the Internship Program and why it was voted the “coolest internship program in northeast Ohio” in 2014 by the Northeast Ohio Council on Higher Education. The purpose of the program is to engage youth talent, showing them the value of staying and working in Lorain County. Bob Murphy at the ready! Foursomes from Avon Avon Lake Rotary enjoyed a day of golf and a great dinner at the Brunswick Rotary Golf Outing. The Avon Avon Lake Club also sponsored a hole and contributed to the event. 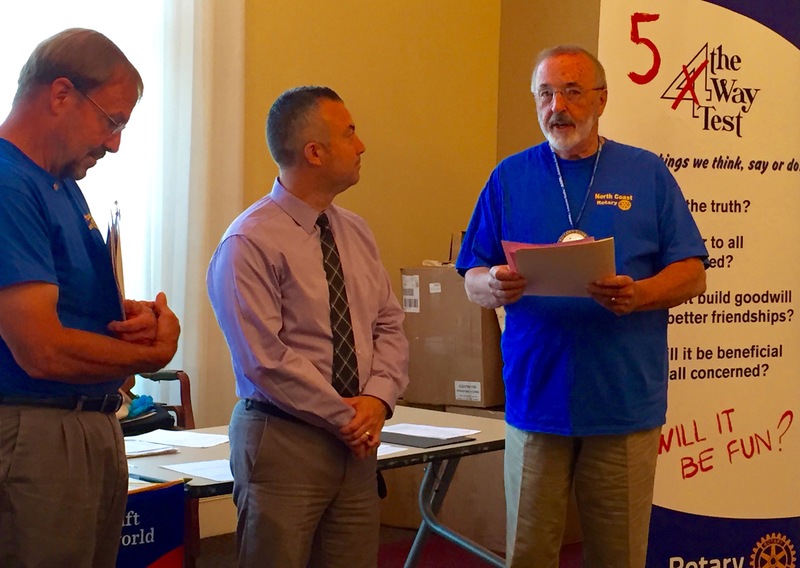 Proceeds from the Brunswick Rotary event go towards their charitable initiatives.